Throwing Back, 2014, digital pigment print, 193.4 cm x 40 cm, and mirror, 50 cm x 40 cm. 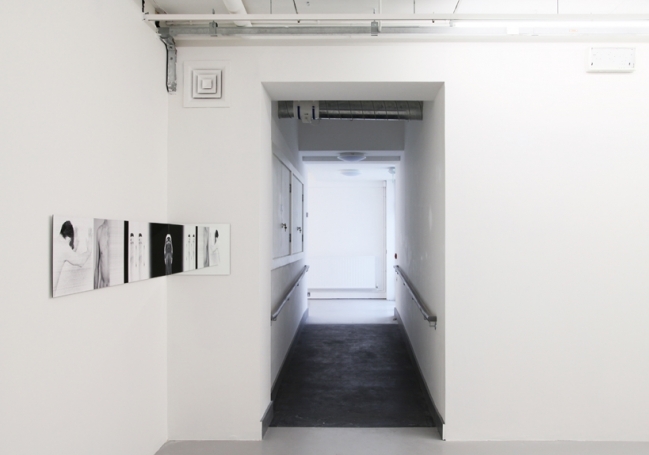 Installation view at Magic Touch, CCA Derry-Londonderry, 2014. Image courtesy of CCA Derry-Londonderry.